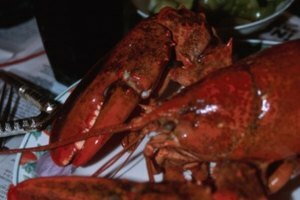 Preserve the fresh flavor of lobster by cooking it quickly in a pressure cooker. 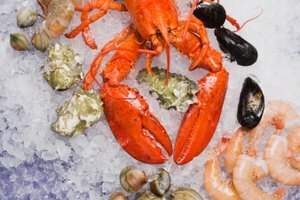 Pressure cookers create a super-heated moist environment that is ideal for penetrating the lobster's exoskeleton. Boiling a lobster drains away much of the natural juices inside the lobster. 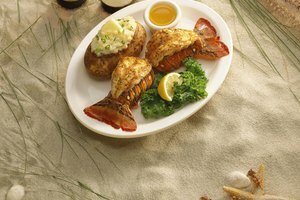 Bring a steaming hot cooked lobster to the table that was raw only a few minutes before the meal. Bring 4 cups of water to a slow boil over medium high heat in a 2 qt. saucepan. Pour the boiling water into the pressure cooker and add dried seaweed if desired. 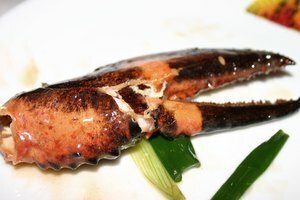 The seaweed adds a subtle, earthy grass flavor to the lobster meat when it is included. Lower a 1 to 2 lb. lobster into the pressure cooker before covering and sealing it securely. Read the manufacturers directions and warnings before using a new pressure cooker for the first time. Misuse of a pressure cooker can cause serious injury. Put the pressure cooker onto the stove over medium-high heat and wait for the gauge to reach high. Depending on the size of the pressure cooker, this can take between 2 and 5 minutes. 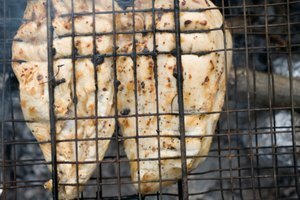 Reduce the heat to low as soon as high pressure is achieved and wait for 2 minutes. Carry the hot pressure cooker to a sink and a sink and run cold water over it for a 3 to 5 minutes. Release pressure according to the manufacturers directions if the model you are using has a manual release valve. Open the pressure cooker carefully to vent the released steam away from your hands and face and retrieve the cooked lobster with a pair of tongs. 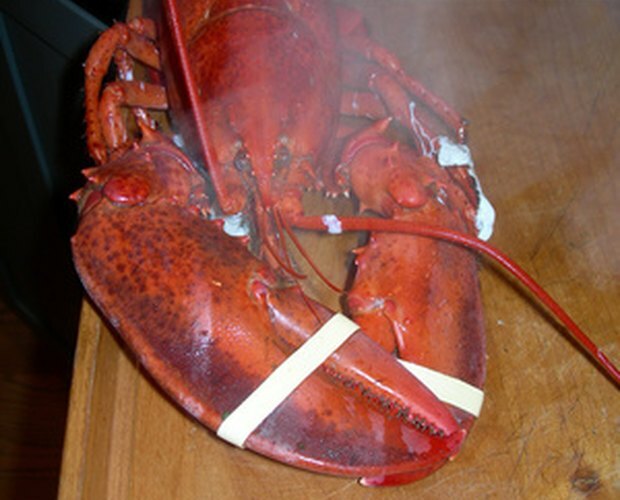 Remove the rubberbands from the claws and serve the pressure-cooked lobster right away for the best possible texture in the meat. Melt one stick of butter and add the juice of a quarter of a lemon and a 2 tblsp. of chopped fresh parsley to make a delicious dipping sauce for the pressure-cooked lobster.